Master thesis in Illustration at the Interactive Design Institute. Format: Interactive Web-Comic. Platforms: iOS, Android, PC. Fields: Illustration, Web Design, Animation, IU/UX. 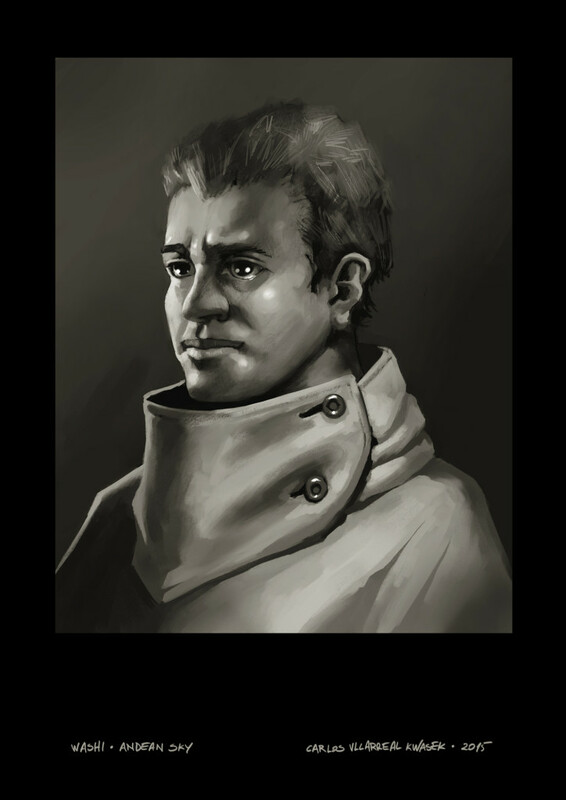 My Contribution: Project creator, writer, designer, illustrator, and developer. 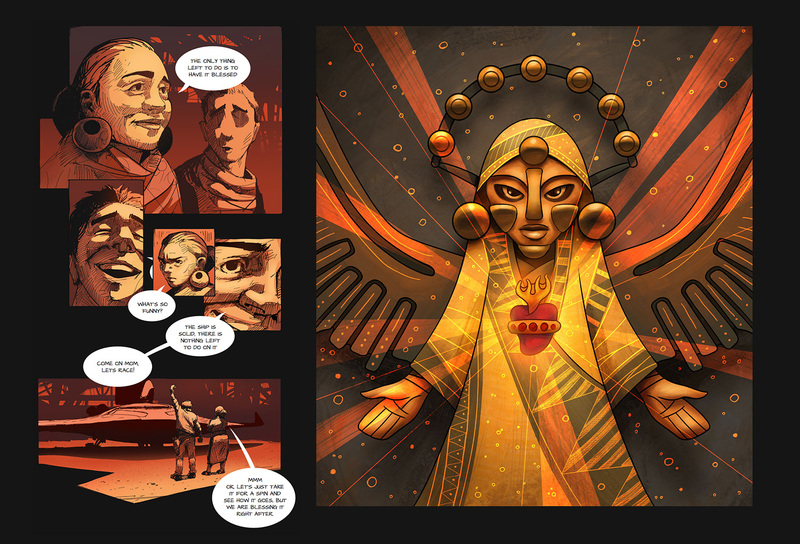 Andean Sky is an interactive web-comic about an immigrant who returns to his home-country Ecuador, in South America, to reconnect with his own culture. With this project I am dealing with themes of identity, religion and technology projected into the future within the Latin American context. This project is my MA thesis in Illustration at the Interactive Design Institute. I have a passion for science fiction and I want to imagine how a place like Ecuador might look like in centuries to come. 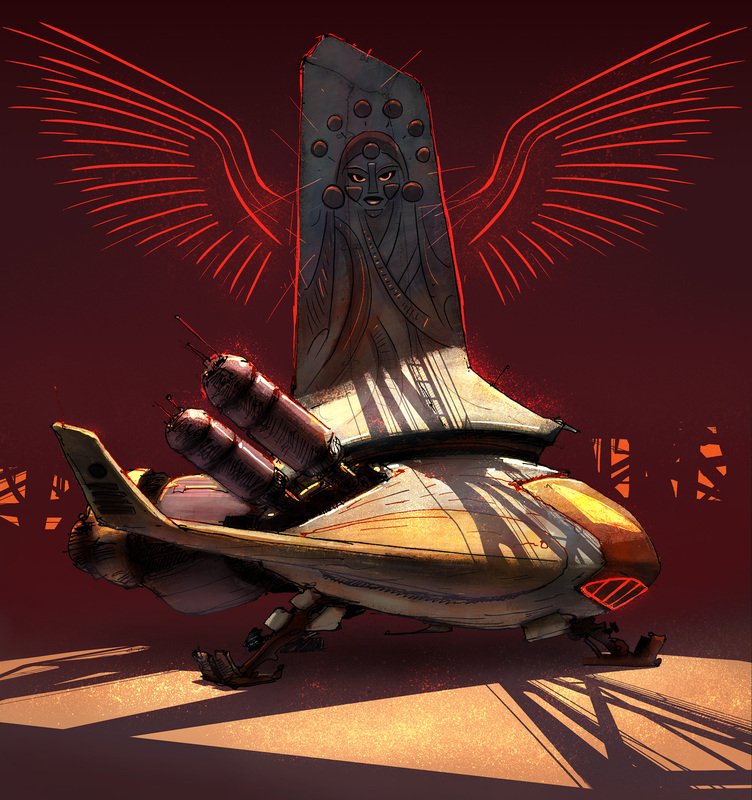 Andean Sky is available for free and it can be displayed on PC, iOS and Android. 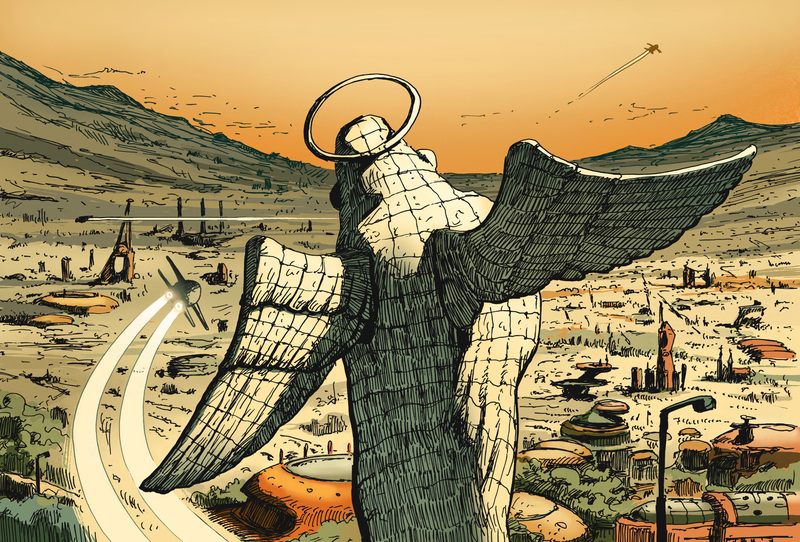 Andean Sky was selected Semifinalist at the 2016 Adobe Design Achievement Awards in the Fine Art - Illustration category (Fig. 1 Cover Design). Fig. 2 The Winged Madonna of Quito. Despite modernisation and technology, people have not lost their faith in Christianity. This image shows the Virgin Mary ruling the skies of Ecuador, aircrafts and gods are under her command. Fig. 3 The Andean Cóndor - Saint of Speed. Religion evolves along with culture. In a society that is no longer dependent on land transport, people have set their eyes to the sky. New Saints and deities have emerged and blended with old Christian traditions. Fig. 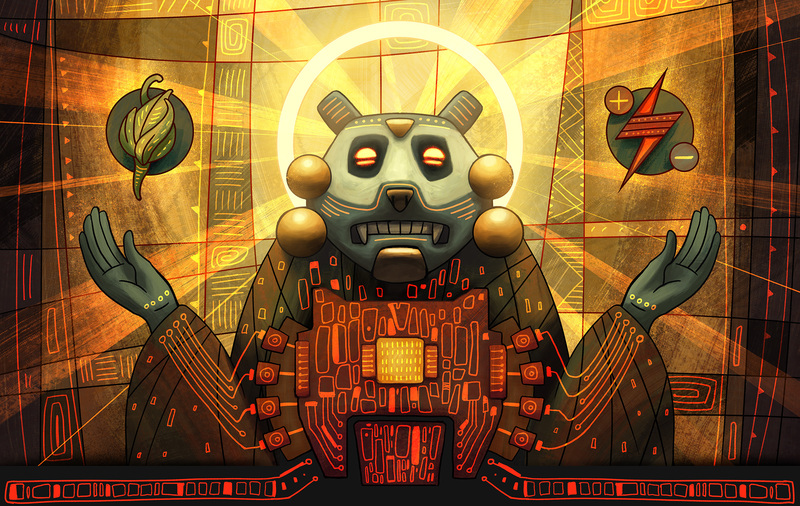 4 The Spectacled Bear - Saint of Technology. Local designers and engineers have developed clean sustainable energy. Religion celebrates the gifts of nature given to the human kind. Fig. 5 The Blessing of the Ship. Car culture has a unique identity in South America and this trend will continue in the future. Blessing transport vehicles is a common practice. Gloria is an important character in the story. I wanted to introduce her as a gender-less figure in order to focus on her “dangerous” side. Being chased by the police is clearly a sign of an illegal activity which I think makes the character more intriguing. Fig. 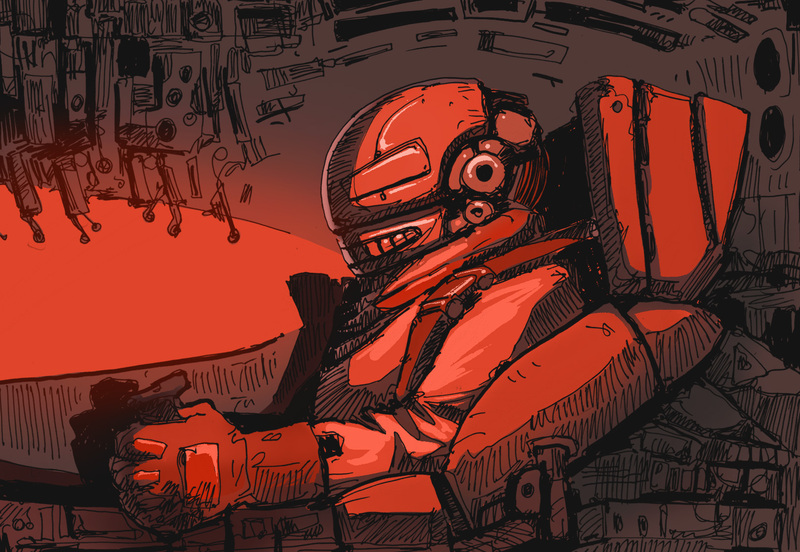 7 Gloria has a deep passion for racing, which is an illegal underground activity and a sub-culture in itself. Fig. 8 The Statue of the Madonna in Quito. 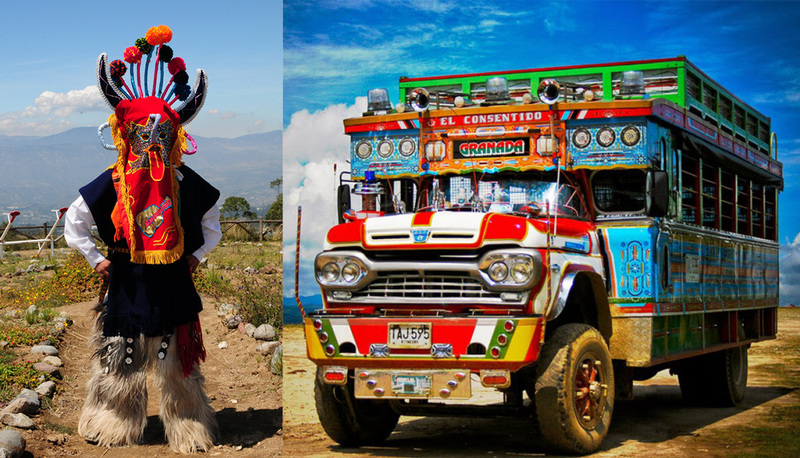 Many things have changed in Ecuador but some has remained the same. This temple that overlooks the city of Quito is a testament of people's faith. Fig. 9 Landing at Cantuña Sky Station. 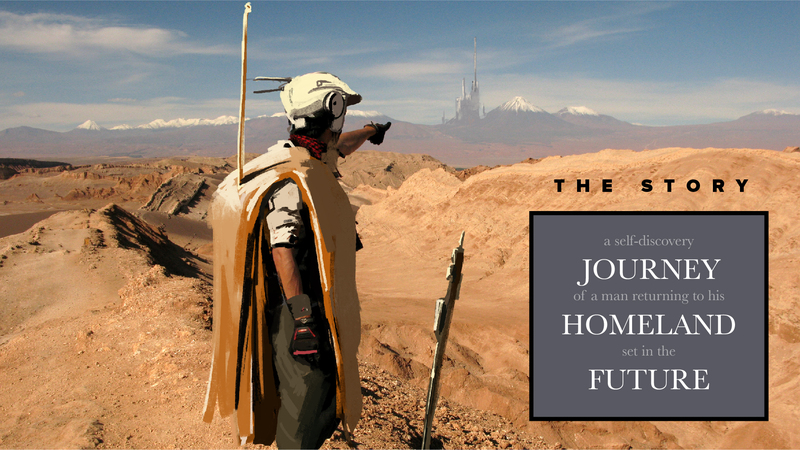 This story is about Washington (Washi) Toapanta who returns home after living abroad for many years and his search for "home." Fig. 10 I think that props are great to tell a back story. This watch has an emotional meaning for Washi because it represents his parents and home. It must have been very upsetting when he lost it. Eventually, it is not the watch that Washi misses, it is his home. Fig. 11 Religion also represents the main conflict in the story. 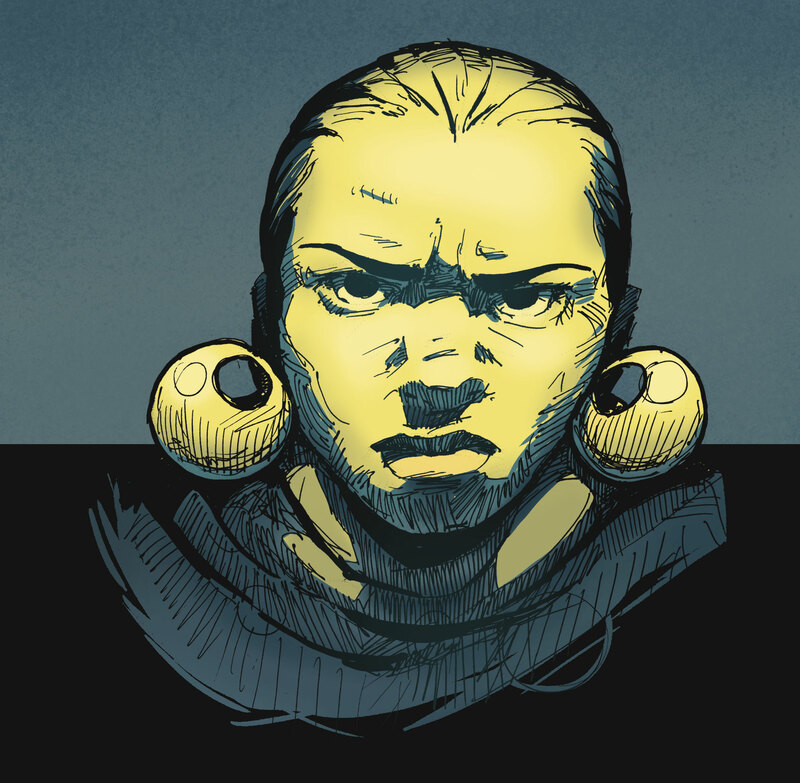 Washi, a non-believer, looks down on religion and thus is intolerant to his mother's believes. This attitude is what prevents him from reconnecting with his culture and his mother. Fig. 12 Racing is illegal and eventually this ends up with trouble for Gloria and Washi. Fig. 13 A turning point in the story is when Gloria and Washi confront each other about their differences. Fig. 14 My first step was to create "pillars" for the project: meaning that I synthesised in one sentence what this project is all about. All research, concept development and outcome had to support these pillars. This was a great way for me to keep focused and decide what to include and what to discard. Fig. 15 Cities in the Andes lay on irregular ground and between active volcanoes, some of these volcanoes have even become local icons. In order to imagine the future for a city like Quito, capital of Ecuador, I decided to first look at current solutions for the urban challenges. 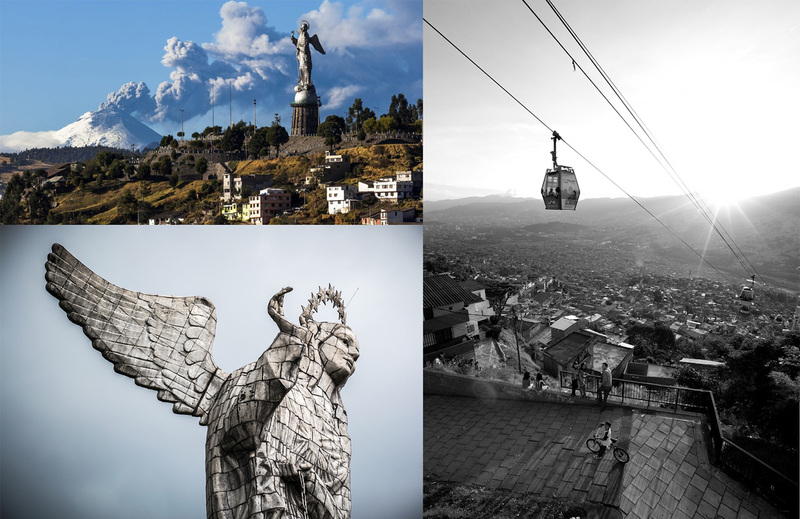 Cities like Medellin (Colombia) or La Paz (Bolivia) have sky lift metro systems that provide public transport to geographically isolated neighbourhoods. Fig. 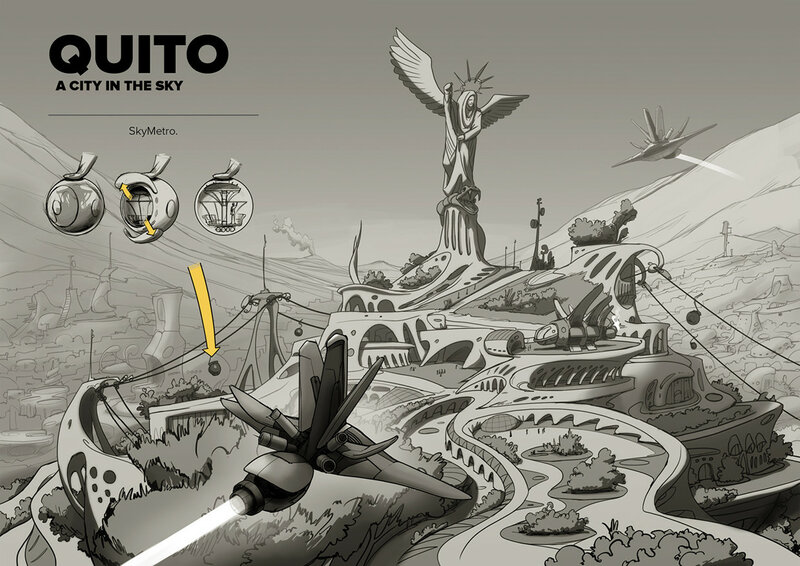 16 Quito, a city in the sky. Aerial transport is more effective for a city that lays between steep mountains. I re-designed Quito to allocate aerial transport instead of land based cars and buses. I am particularly happy with the idea for the “cherry” shaped sky metro. 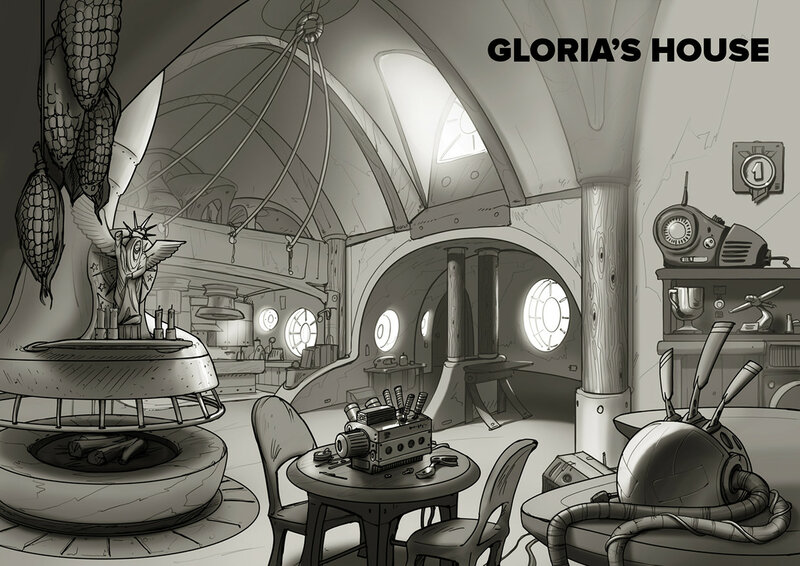 I wanted to reflect Gloria's personality in her home. I wanted to maintain symbols of old traditions and at the same time underline her passion for racing and mechanics. Fig. 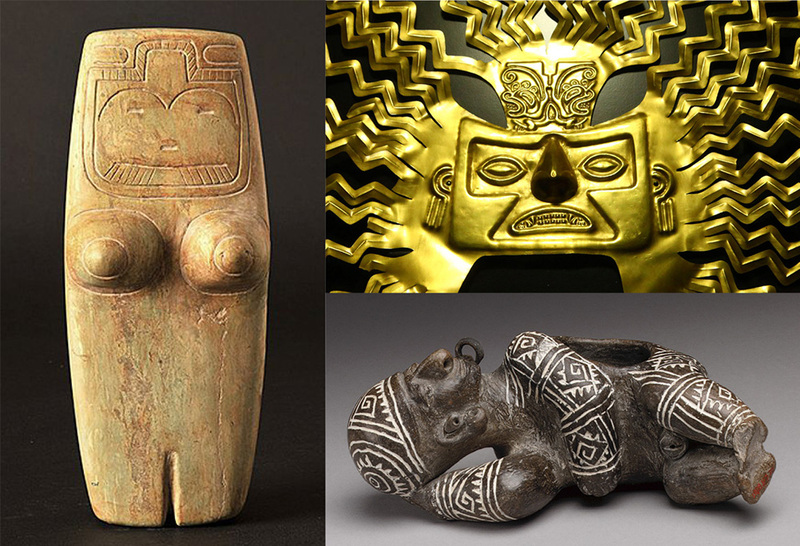 18 Ecuador’s Pre-Columbian history dates far beyond the Inca conquest of the region. The cultures that once inhabited this area worked with a variety of materials and each one of them had a unique artistic aesthetic. I wanted to celebrate this historical heritage by integrating in my designs some of this visual language. Fig. 19 Ecuador is also home to some of the most hyper-diverse ecosystems in the world with unique, and often endangered, species of animals, insects and plants. I felt inspired by the richness of shapes and colours. The Condor is an important national symbol in Ecuador (it is depicted in the country’s flag) but I wanted for it to become a religious symbol as well. 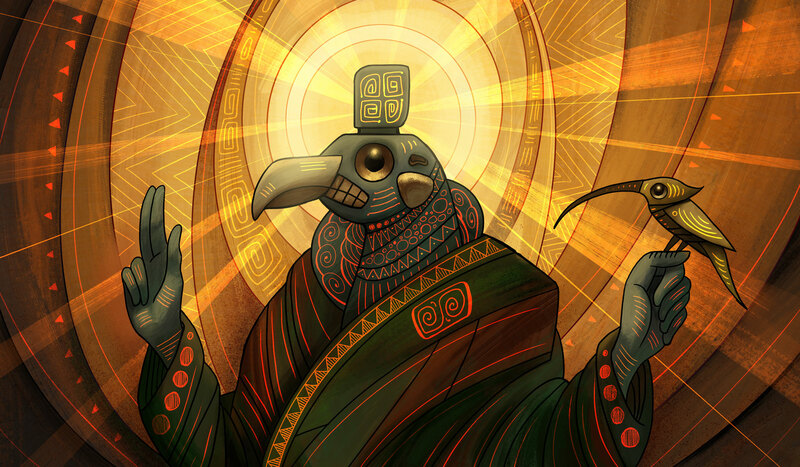 It is after all, the ruler of the Andean skies. Fig. 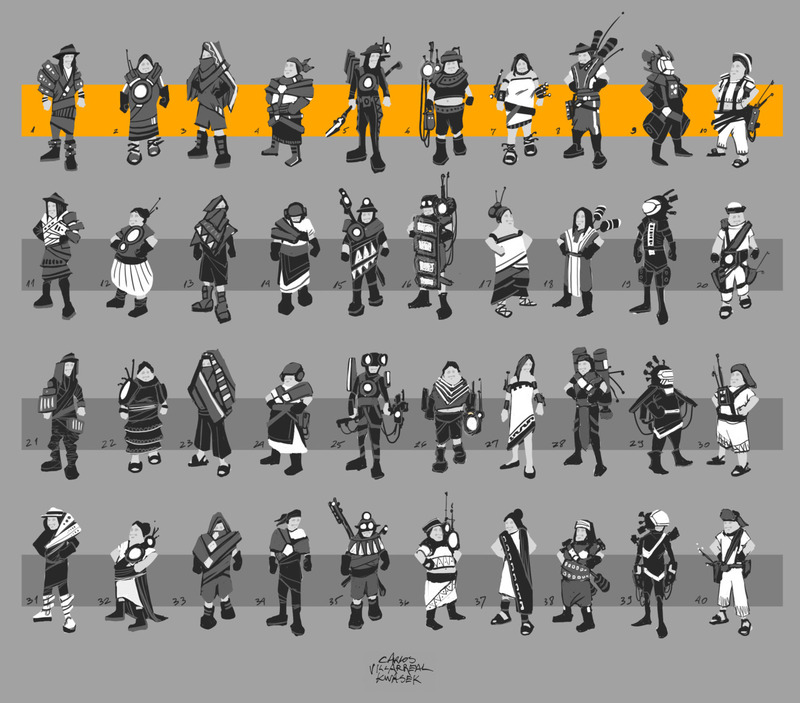 20 Character Design Thumbnails. Based on my research I wanted to combine the old and the new. Fig. 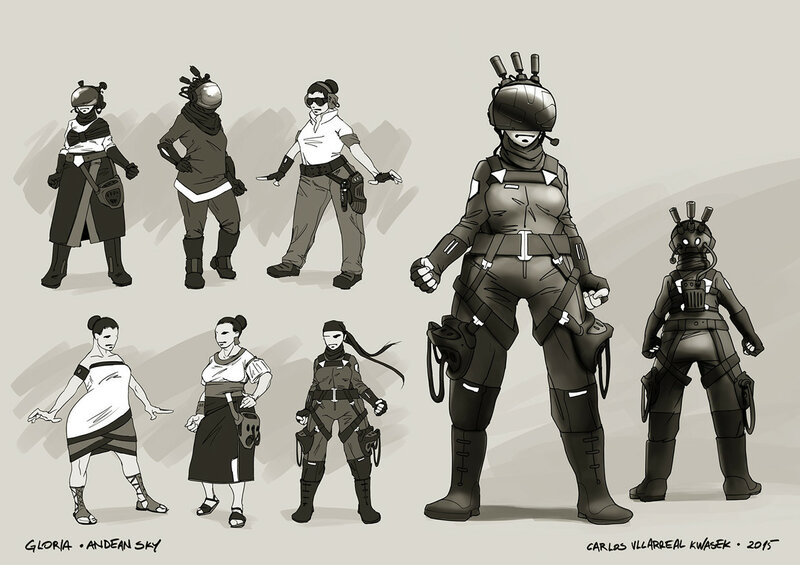 21 Character Design Development. I want to imagine Latin America in the future as an advanced and highly technological place, but this doesn't mean that it will loose its flavour, on the contrary. I imagine that the old, the current and the new will blend into new propositions. Gloria is a robust woman but she is not shy to show her feminine side. Being a racer she has all the gears for her hobby which sometimes can overlap with her other outfits. Fig. 23 Washington (Washi) Toapanta. Washi is an immigrant who recently returned to his homeland, Ecuador. 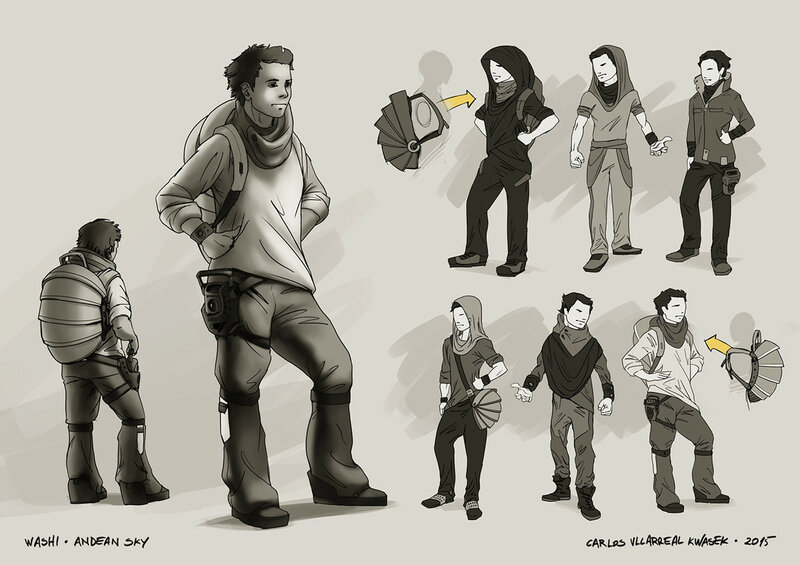 His identity, and his outfit, have been heavily influenced by the foreign country's culture where he used to live. Washi resides in a certain "limbo" because he is seen as a foreigner both abroad and at home. Fig. 24 Washington (Washi) Toapanta. Fig. 26 Latin America has a unique car culture. Old traditions, Christianity and humor are part of this colourful aesthetic. Blessing a vehicle is a common practice and some buses even portray modern miracles. Fig. 27 I am presenting a different version of Christianity in future Ecuador complemented with new religious art. I decided that artist would be inspired by nature, technology and religion; something like Art Nouveau and Futurism combined with religious imagery. The Secret of Kells (4th image to the right) is a good example of a modern take on religious-art-aesthetics with an animation twist; conceptually speaking, my project aspires to the same idea. Fig. 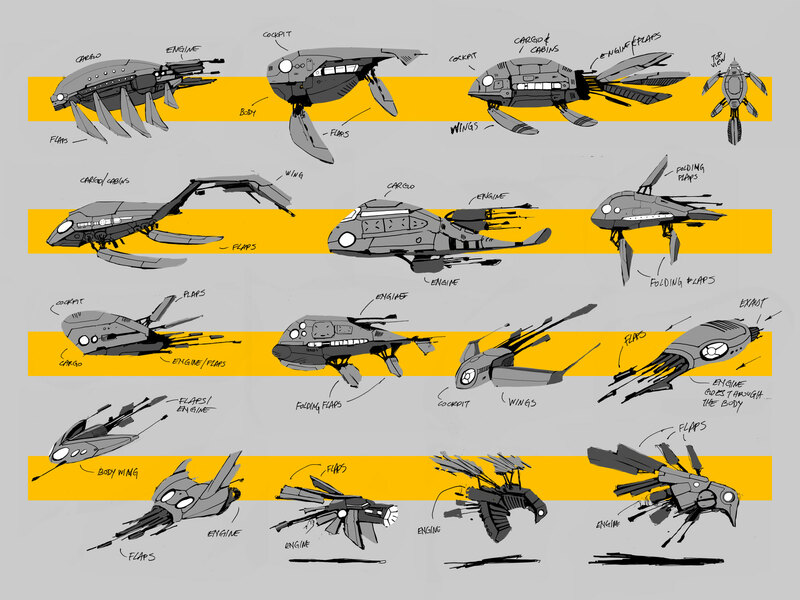 28 Vehicle Design Thumbnails. 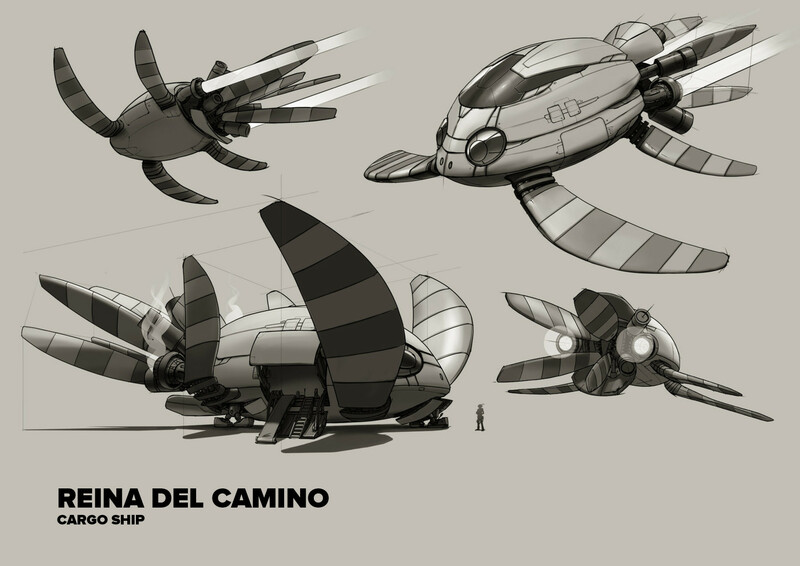 I was very inspired by the Ecuadorian nature when designing the vehicles. I wanted them to look like characters on their own. Fig. 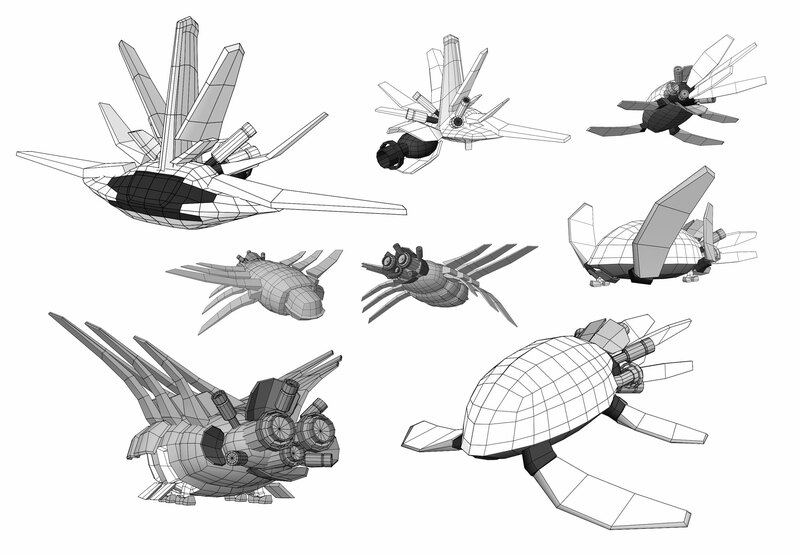 29 Design Blockout in 3D. 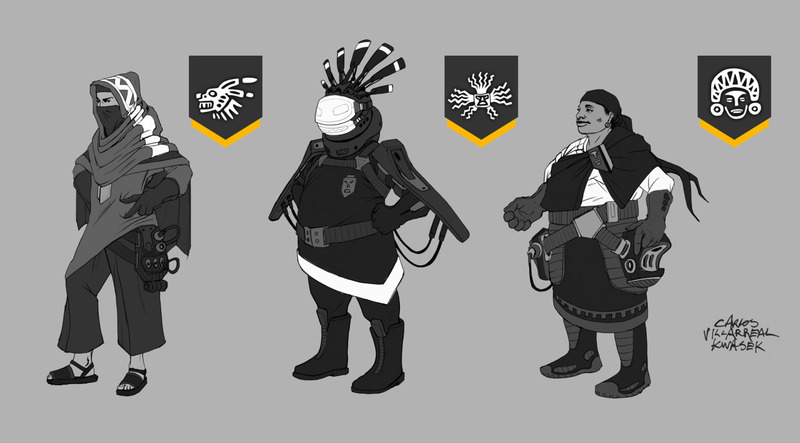 I wanted the designs to feel very organic and have a lot of movement. I used a 3D software to quickly mock design ideas and animation. Fig. 30 Reina del Camino. This ship is a combination of a cargo and passenger aircraft. I was inspired by the sea turtle for this design and I wanted to maintain a heavy but gentle personality for it. This is a lightweight-power speed aircraft and it's Gloria's choice for a racing vehicle. 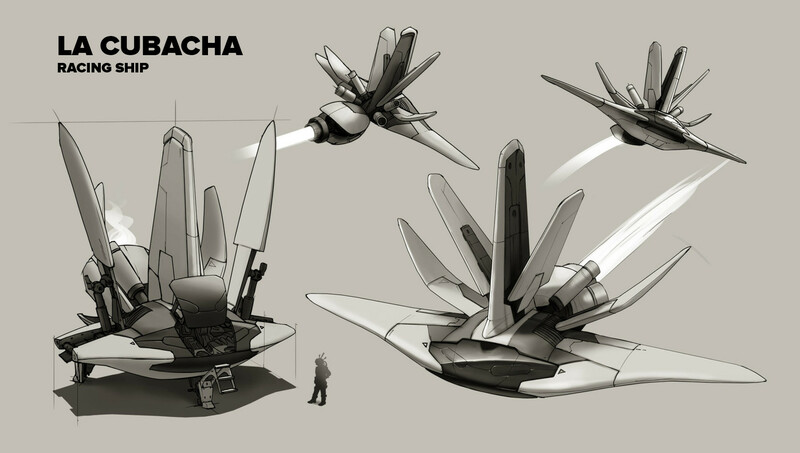 Being part of an underground culture, she made her own modifications to this ship in order to enhance its performance. Inspired by the gold INTI mask I wanted to create a more aggressive personality for this ship. Fig. 32 My first idea was to create an App for iOS and Android, similar to the interactive comic Operation Ajax by Cognito Comics (right). But after researching various technologies I decided to create a web based interactive web-comic. This technology is cross-platform and it is also free, which allows my product to be easily sharable. 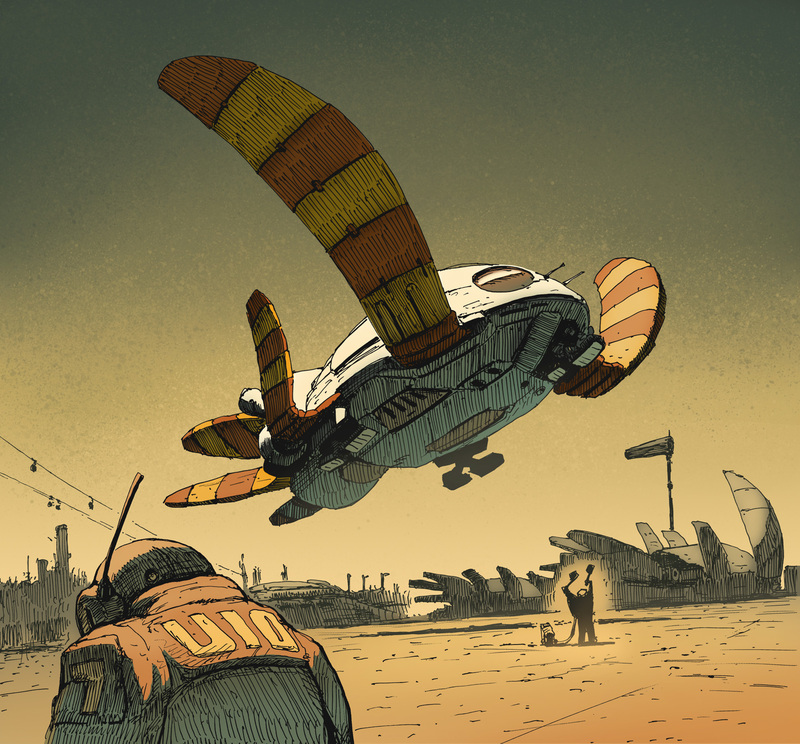 TRON, the interactive web comic (left), is an excellent example of a successful HTML5 interactive graphic novel that uses animation, sound and interactivity in a cross-platform product. 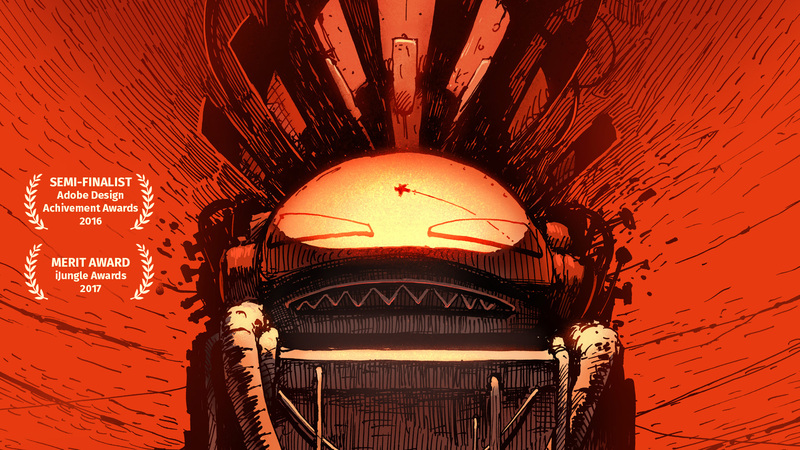 The comic can be displayed on PC, iOS and Android. I spent some time figuring out how to accommodate one web page for all screen orientations. 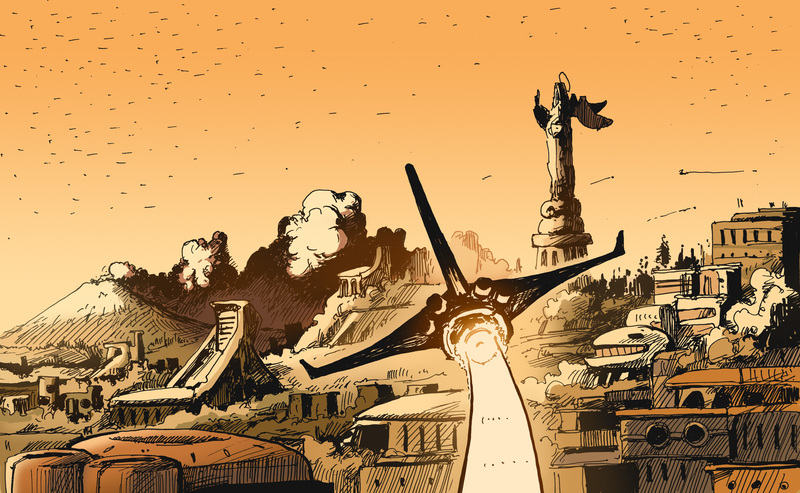 The comic is designed to be viewed on landscape mode. This is not an issue when displayed on PC but it was challenging to design the user experience when displayed on portrait mode on mobile. I feel that I created a simple solution for the user: an icon that sits at the bottom of the page only to be revealed when the screen is on portrait mode. Based on focus testing I am satisfied to see that people understood what to do. Another simple solution is the loading screen; in fact this is a very low-tech “hack”. There is no loading screen per se; meaning that there is no code for such a thing. Instead I placed a text that sits behind the images. When the image is being loaded the text is revealed and when the image is loaded it covers the text. Based on user testing I decided to place a few simple instructions at the front page; this is because not everybody understood that they have to scroll down to read. I decided to create two separate buttons to turn the music on and off because of a technical limitation: by design, sound cannot automatically play on mobile devices. This is because bandwidth consumption. Instead the user has to manually play the music on every page. I am less satisfied with this solution because my intention was to have the music play automatically as it does on PC. You can read about the research process and theoretical background for Andean Sky at Andean Sky. 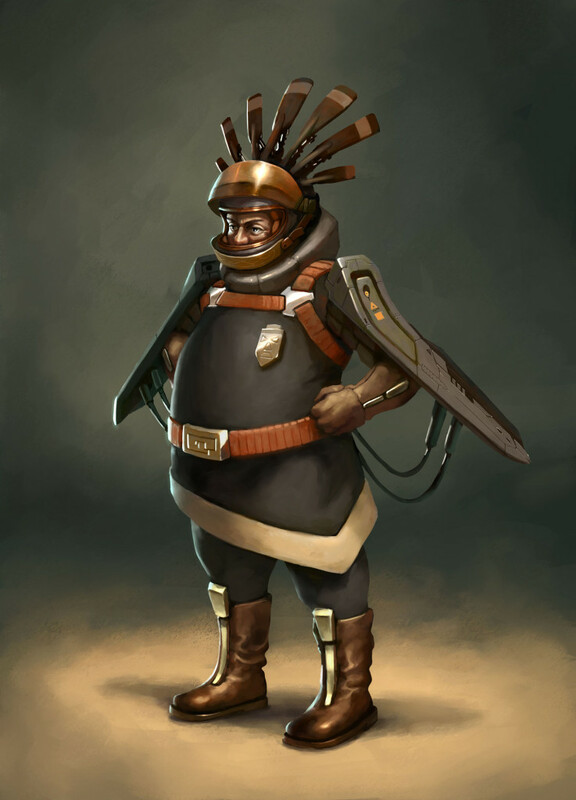 Ecuador in the Future. Fig. 15 From left to right, top to bottom. The Citizen, Cotopaxi (2015) Photograph. [Online image] Available at: The Citizen [Accessed: 30 August 2016]. Dual Productora, Metro Cable (2012) Photograph. [Online image] Available at: Flickr [Accessed: 9 January 2015]. Mauro Tessari, Ecuador. Quito. (2014) Photograph. [Online image] Available at: Flickr [Accessed: 9 January 2015]. Fig. 18 From left to right, top to bottom. Valdivia Culture - Ecuador, ANCESTRAL FEMALE FIGURE (3500 - 2000 BC) Limestone 11 1/2 x 4 3/4 x 3 3/4 in. [Online image] Available at: Willian Gallery Siegal [Accessed: 13 December 2015]. Tolita Culture - Ecuador, INTI God Mask (600 BC - AD 200) Gold. Photo by El Comercio (n. d.) [Online image] Available at: El Comercio [Accessed: 7 December 2015]. Manteno Culture - Ecuador, Figure Vessel (8th - 12th century) Ceramic, pigment. Photo by The Met (n. d.) [Online image] Available at: The MET [Accessed: 30 August 2016]. Fig. 19 From left to right, top to bottom. Laura Valentina, Condor (2012) Photograph. [Online image] Available at: Flickr [Accessed: 30 August 2016]. Nicolas Villarreal Kwasek, Frog (2014) Photograph. Enmanuelle Pineda, Frailejon (2012) Photograph. [Online image] Available at: Flickr [Accessed: 30 August 2016]. Fig. 26 From left to right. Marcelo Quinteros Mena, Diablo Huma (2011)Photograph. [Online image] Available at: Flickr [Accessed 8 May 2015]. Fig. 27 From left to right. Gustav Klimt, Portrait of Adele Bloch-Bauer I (1907) Oil, silver, and gold on canvas, 138 cm × 138 cm (54 in × 54 in), Neue Galerie, New York. Hagia Sophia - Istanbul, Jesus Christ - detail from Deesis mosaic (est. 1261) Mosaic, Hagia Sophia, Istanbul. Photo by Carlos Villarreal Kwasek. The Secret of Kells. (2009) Film. Directed by Tomm Moore and Nora Towney. UK: Studio Canal. Fig. 32 From left to right. 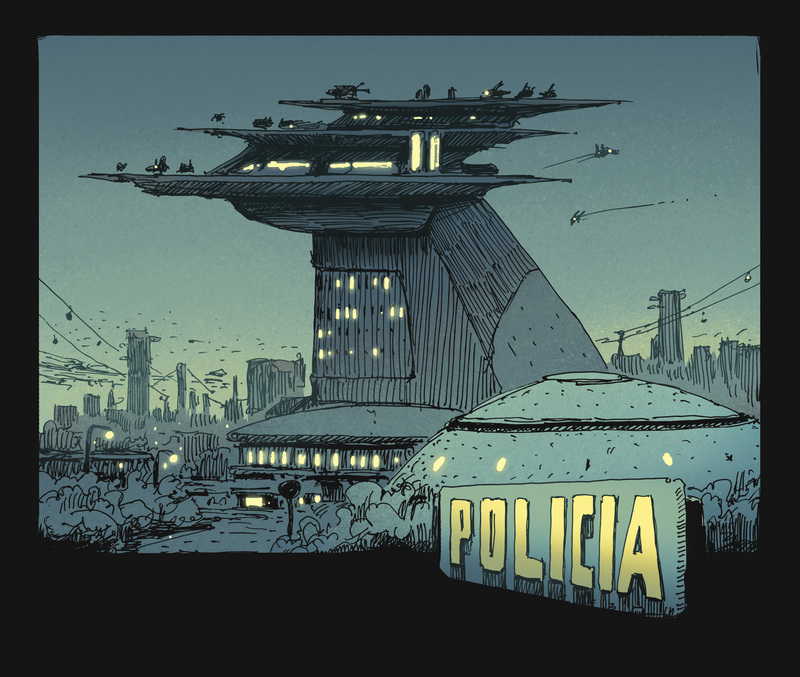 Vectorform, TRON: Legacy HTML5 Interactive Web Comic (2014) Interactive Comic. [Video online] Available at: Vimeo [Accessed: 13 January 2016]. Cognito Comics, Operation Ajax (2013) iOS App. [Video onine] Available at: Vimeo [Accessed 2 May 2015]. Cognito Comics (2013) CIA: Operation Ajax the Interactive Graphic Novel for iPad. Cognito Comics.